Every movie that was released in 2017 used VFX in some form or the other. When you think of Visual Effects (VFX), you think of Superman shooting across the sky. You think of Godzilla annihilating modern civilization. But VFX can be simpler and subtler. When you mix live shot footage with false or animated content so that the end product looks natural, you dabble in the art of VFX. It can be extreme. It can also be strangely low key. If you’ve ever been floored by the sunsets in a typical romantic comedy, you have appreciated the impact of VFX, without even knowing it is there. VFX Sounds Complicated – is it for Non-Experts? 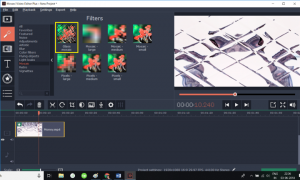 Thanks to video editing software solutions like Movavi, the power of VFX has been passed to the amateur user. Not only can home movies boast some of the same effects as blockbusters, the process of adding the enhancements is neither difficult nor tedious. So yes, non-experts can effortlessly introduce the magic of visual effects in their content. 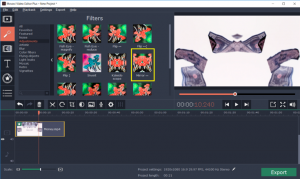 There are three types of distinct post live-shoot enhancements that you can implement with the Movavi Video Editor. They are impressive. But they are equally easy to pull off. 1. 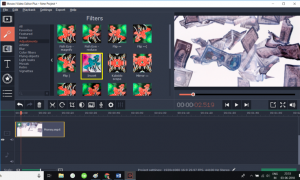 Filters: Filters are software effects that are applied to chosen video clips in order to introduce an ambience into the content that wasn’t there in the live shoot. Some filters simply improve the colour saturation, making scenes more vibrant and larger than life. Other filters are all about conspicuous additions like flying objects. The best thing about filters is the fact that they can be bundled or combined to create really sophisticated upgrades and alterations that look out of this world. You are literally defined by the limits of your imagination. To apply a filter in Movavi, click the icon to the left that resembles a magic wand. This will reveal all twelve sub-categories of filters. Adjustments with options like Invert and Mirror which bring a decidedly sci-fi like feel to video content. Light Leaks which invite the beauty of Bokeh mode spills to video. Noise which selectively introduces a rich grain texture to certain hues. Mosaic which is about pixilation. 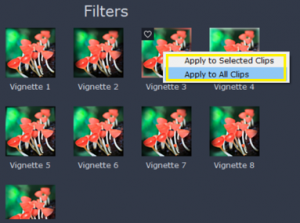 Next, choose the clip that you would like to enhance, click on the desired filter, and implement. 2. Transitions: What’s a home movie without over the top transitions? 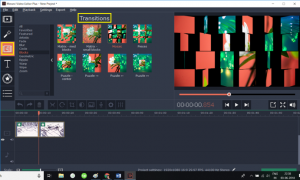 Transitions are components that allow clips to blend seamlessly into each other for a quality presentation. Keeping their importance in mind, Movavi offers twelve categories of transitions. Fades: These are the most common. With fades, clips literally “fade” into one another for that continuous, unbroken narrative. Blocks: The Hollywood musicals of old would be incomplete without block transitions. The ending scene of one clip breaks into 3D cubes and pulls in the opening scene of the next. Nostalgia at its finest! Wipe: By far the most visually pleasing transition, this one brings the next scene in the form of a gentle wave that breaks on the end of the previous clip. 3. Chroma Key: Can you have angels flying behind your back as you talk about your wedding anniversary? Yes, you can! 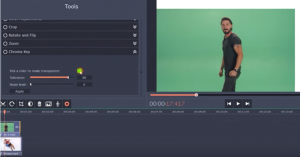 Chroma key is a big league VFX component that’s been commercialized like never before with Movavi. When chroma key is implemented, a video montage is obtained. The clip in the foreground merges with a different clip that runs in the background. And here’s how this is done. Import two clips – the one that’ll run in the foreground must have a solid green background. The other clip which will replace the green background can be any good quality file. They will show up on the main track of the timeline. 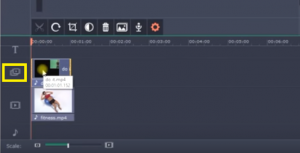 Next you are required to drag the foreground clip and drop it on to the Overlay track of the timeline. Double click this content and adjust the foreground video to cover the background clip. Click the icon for More to the left of the screen. Select Chroma Key. Click the little green box against the caption that says “Pick a Colour to Make Transparent” and double tap the green background of the foreground clip. The swap happens instantly. Three effects that bring the awe of VFX to home videos.